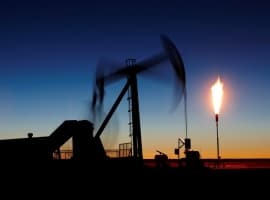 Is Saudi determination to continue to defend its global crude market share and to let market forces determine crude prices finally unnerving Russia in general and Rosneft CEO Igor Sechin in particular? Toward the end of October, the Saudis began competing with Russia over market share in Europe. They inked an agreement with PKN Orlen SA, Poland’s leading refiner, to supply crude. According to Bloomberg, CEO Jacek Krawiec described the transaction as “undermining Russia’s traditional dominance as Poland’s crude supplier.” Underlining that this sale was not a one-off transaction, the Saudis cut crude prices to Northwest Europe and the Mediterranean at the beginning of November. Zbigniew Paszkowicza, a senior executive of Poland’s second largest refiner, Grupa Lotos SA, said these Saudi initiatives significantly improved his company’s negotiating position. Up until this point, the Russian government and Russian producers had reacted with equanimity to the Saudi decision in November 2014 to defend market share and let market forces determine prices. Increasing output also convinced industry observers that Russia’s position is, relative to other producers, stronger. Some cited economic and financial factors. Artem Konchin, an oil and gas analyst at Otkritie Capital in Moscow, attributed Russian resilience to the Russian federal tax framework—the export tax adjusts with the US$ price—and to the drop in the value of the Ruble against the US$, which, he claimed, generates more Rubles per US$ in sales. Others have cited psychological factors—for example, Russian steadfastness in the face of adversity as shown in WWII and Napoleon’s invasion of Russia. The Saudi vylazka (sortie) into Europe, however, immediately drew sharp Russian rebukes. According to the Bloomberg article on price cuts cited above, Russia protested the Saudi move into Northern Europe. And Rosneft CEO Sechin, speaking at the Eurasian Forum in Verona, Italy at the end of October, objected to the Saudi strategy in general and to its effort to expand market share Europe in particular. He asserted that the Saudis would not gain “any significant victories” with their strategy, dismissed Saudi reliability as a supplier to Europe, and claimed that Middle Eastern supplies don’t have “a logistical advantage” in Europe. Why Sechin’s, and Russia’s, sudden sensitivity? In 2013, Rosneft acquired its Russian competitor TNK-BP for $55 billion, allowing Rosneft to surpass ExxonMobil as the world’s largest publicly traded oil company in terms of output. Completed at a time when a barrel of crude fetched more than $100 and $100+ crude appeared to be the new and perpetual norm, the acquisition looked like a winner, and the massive debt—according to Reuters, $40 billion—Rosneft took on to finance the transaction appeared manageable. The Saudi move into Europe—threatening Rosneft’s volumes and hinting at a possible price war in Europe—intensifies the pain Saudi market share and pricing strategy and European and U.S. sanctions were already causing Rosneft. Taken together, these pressures could cripple Rosneft financially and transform the TNK-BP acquisition from a bold strategic move to gain scale in global crude markets into a millstone (much like the 2013 acquisition of McMoRan Exploration Co. and Plains Exploration is crippling Freeport McMoRan). Why did revenues decrease in Ruble terms in 1H 2015? Each ton of crude, petroleum products, and petrochemical products sold in 1H 2015 generated fewer Rubles on average than in 1H 2014 (and, in the case of crude sold to non-CIS Europe and Asia, its largest markets, fewer Rubles than in 2011). (As a general proposition, revenues in Rubles only increase if the percentage decrease in crude prices is less than the percentage increase in Ruble/US$ exchange rate). Higher prices in Ruble terms in the CIS and domestic markets, representing only ~25 percent of sales, were insufficient to offset the impact of lower/ton prices to non-CIS Europe and Asia. Lower oil prices and a weaker Ruble undercut Rosneft’s ability to keep up with global energy majors in terms of capital expenditures. Rosneft is on track to spend ~$9-to-10 billion on capex in 2015—while ExxonMobil and Chevron, for example, each plan to spend more than $30 billion. Lower oil prices and a weaker Ruble also wreak havoc on Rosneft’s capability to repay the debt it took on to buy TNK-BP. The following table, drawn from Rosneft documents, shows the principal repayment schedule for Rosneft’s debt. It appears that the cash remaining from operating cash flow after deductions for three important non-operating cash expenses (capex, interest, and dividends, which are paid to shareholders in the second half once annually) will be ~$2.8 billion short in 2015, assuming that Rosneft matches in 2H 2015 the ~$4 billion it generated after these expenses in 1H 2015. Should low prices and Ruble weakness persist, Rosneft’s operating cash flow in 2016 and 2017 after these non-operating expenses may be insufficient to cover its principal repayments. (2014 and 2013 figures are misleading, since Chinese prepayments for crude deliveries of 497 billion and 470 billion Rubles in 2014 and 2013 respectively pumped up operating cash flow in those years. Without these prepayments, Rosneft would have had only $9.474 billion and $1.099 billion remaining from operating cash flow after the three non-operating expenses). 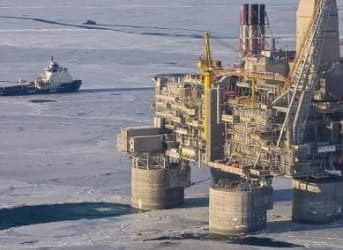 The assertion of Artem Konchin, the oil and gas analyst at Otkritie Capital in Moscow mentioned in the beginning of this article, notwithstanding, a weak Ruble is not a blessing for Rosneft. The IMF in its October 2015 World Economic Outlook estimated that inflation in Russia, at least in part the result of a weakening Ruble, will average 15.789 percent in 2015, 8.634 percent in 2016, and 7.25 percent in 2017, 5 percent in 2018 and 4 percent thereafter. 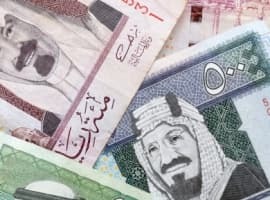 Inflation is pushing up operating expenses as Saudi decisions pressure revenue, causing operating income to decrease more than revenues. Had Rosneft not benefited from the Russian tax framework cited by Artem Konchin—export customs duties (which are based on export prices) dropped from 30.1 percent of revenues in 1H 2014 to 18.5 percent in 1H 2015—the decrease in operating profit would have been substantially greater. In fact, had the Russian government charged Rosneft the same amount in absolute terms in 1H 2015 (845 billion Rubles versus 481 billion Rubles), operating profit would have been -320 billion Rubles and the operating loss -1.2 percent. Inflation undermines Rosneft’s performance and future potential in other ways. The table below shows that 1H 2015 capex, after adjusting for projected 15.789 percent inflation, will be less than 1H 2014 capex and, if annualized, than capex annually from 2011 through 2014. In addition, the Russian tax framework may no longer offer Rosneft and other Russian energy exporters the same level of support in 2016 and future years. The tax breaks Russian energy exporters enjoy have become a flash point in budget debates within and outside the Russian government. In September, the Finance Ministry attempted to increase the mineral extraction tax to lessen the Federal budget deficit. Industry opposition and opposition from other Russian ministries forced it to back down. Instead, the Finance Ministry is proposing to slow down the planned decrease in crude export duties to 36 percent from 42 percent. (According to Bloomberg each percentage point decrease is worth 37 billion rubles to Russian producers). Also, the Russian government is considering introducing in 2016 a windfall profits tax on Russian energy exporters benefitting from the Ruble’s depreciation. The financial pressure is showing up in the current portion of Rosneft’s balance sheet. As of 1H 2015, both the current ratio (current assets against current liabilities) and the quick ratio (the most liquid current assets versus current liabilities), which measure a company’s ability to meet short-term financial obligations— are below 1. Because Rosneft can count on Russian government and Russian Central Bank support, and because it can cut or eliminate dividends and can divest assets, the company will undoubtedly survive this era of low prices, even if prices will stay lower for longer. Nevertheless, Rosneft and the Russia government have reason to feel anxious. With domestic demand dropping as temperatures in the Middle East cool, the Saudis will have more barrels to export to Europe assuming crude output remains above 10 mmbbl/day. They could also, presumably, shift exports from the U.S. (where the Saudis compete against WTI pricing) to Europe (where Brent pricing is higher). In either or both cases, Rosneft would face the prospect of a protracted battle over market share in Europe with a lower-cost producer. The more relevant question is how Saudi Arabia, Russia, Venezuela, and other countries where oil dominates their GDP, survives this race to the bottom? 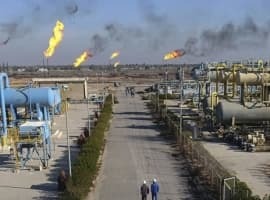 There are no winners here among the oil exporting nations.